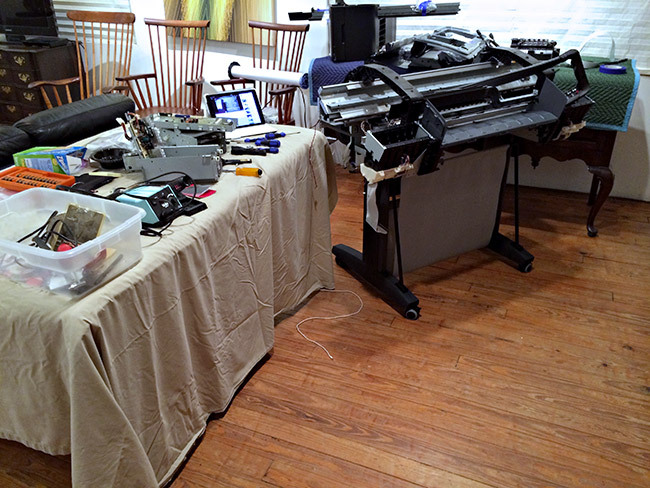 If you hear a loud noise coming from the left side of the printer as you face it, and it seems to whine or squeal, and it continues to get worse over time, it's probably the power supply fan. Amazing that such a small thing can make so much noise! 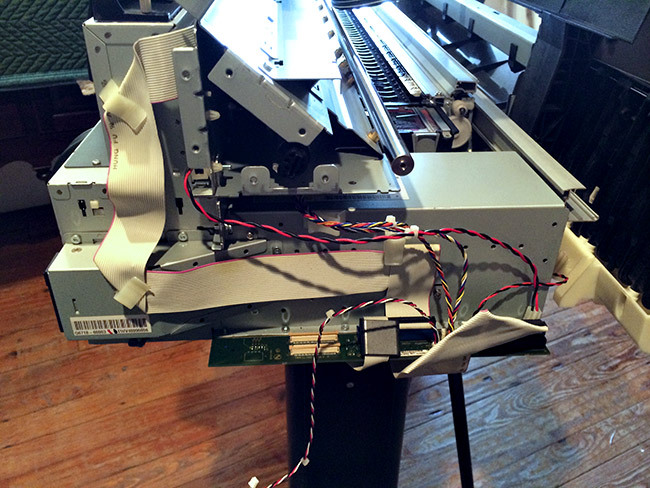 For some reason HP determined that inexpensive parts were adequate for this printer. A case in point is the power supply fan. When I took the power supply apart to get at the fan I was really surprised to find that it was essentially a $3.24 Computer fan with sleeve bearings. It is unfathomable to me is that a fan that is required to run 24 seven 325 would be so cheap. Here is a photo of the old fan moments after it was removed (check out the crud on it) you’ll see why blowing compressed air in there is just not going to get it. The crud gets caked on! Ultimately, HP doesn’t have any information about replacing the Power Supply Unit fan. It takes a ton of work and time to just replace the fan, (because of having to take the power supply unit apart) so I’m sure they only wanted their field technicians to replace the entire power supply and be done with it, due to the cost of labor and difficulty of tedious work in the field. There are companies who will trade you your entire PSU for theirs, which has had a new fan put in and is “refurbished”. The cost will be anywhere from $200 - $600. 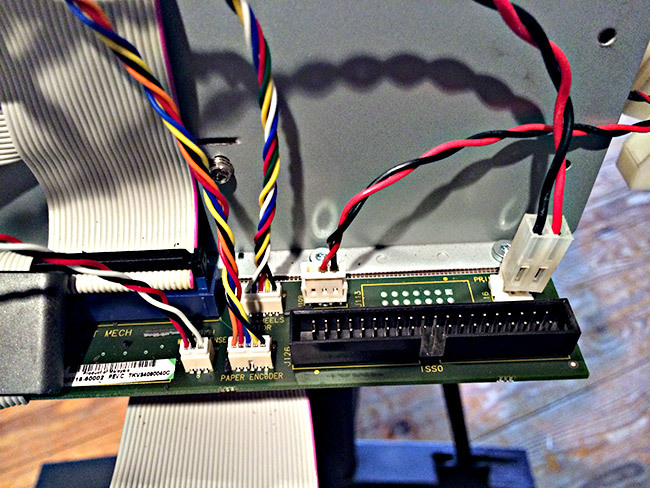 Google “HP Z3100 Power Supply Unit Replacement” and you’ll find more than you want to know. 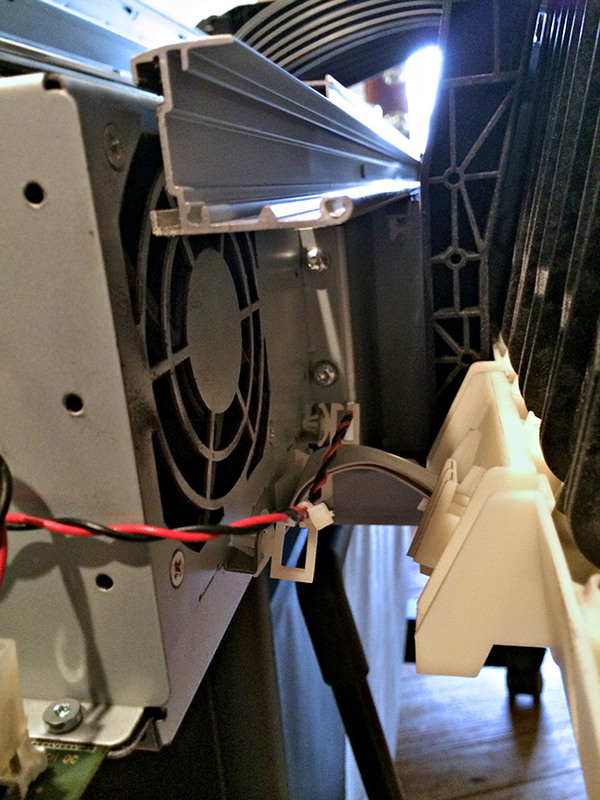 In order to get at the fan it takes removing upwards of 40 screws from the power supply unit and a lot of futzing around just to expose the fan. Having actually pulled the power supply unit and opened it up and replaced the fan with a quality fan I can say that it is quite a job but not an unsurmountable one and with a little patience and perseverance it is certainly doable. 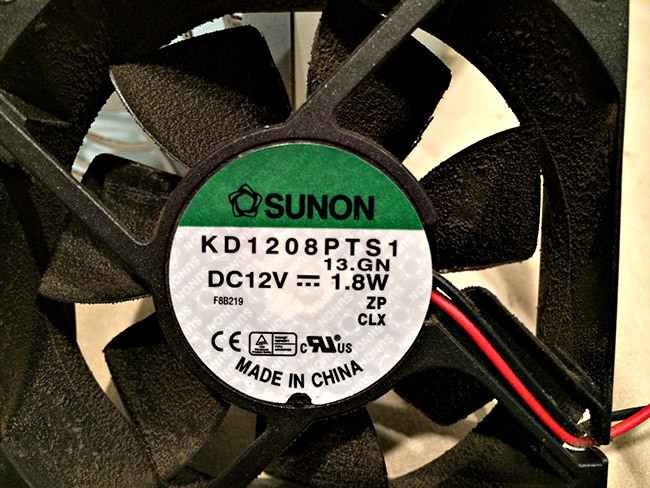 The fan is essentially a simple computer case fan and you can find any number of them online. If you want to take the easy way out, get an entire PSU with who knows what fan they put in there and how, and send yours off, never to be seen again. Just hope they sent you a “good one” back! If you don’t want to get into replacing the fan yourself - take the easy way out, send your PSU here. I made the decision to replace my own fan so that I could clean the circuit boards and inspect everything, plus I have an innate curiosity about how things work. I figured I could take the power supply unit apart, replace the fan and put it back together in an hour. Wrong. It takes a couple to 3 hours, anyway, but I work slowly and carefully. I got a waterproof fan because I figure they are made to withstand a lot more climate issues. Just get one that has ball bearings instead of sleeve bearings. I also got this fan because I knew I could easily splice the wires into the plug and wires of the old, existing fan. It was an easy fix - just nipped the old fan wires off about 5” past the plug and soldered everything together and used heat shrink tubing and a heat gun to go over the soldered areas. 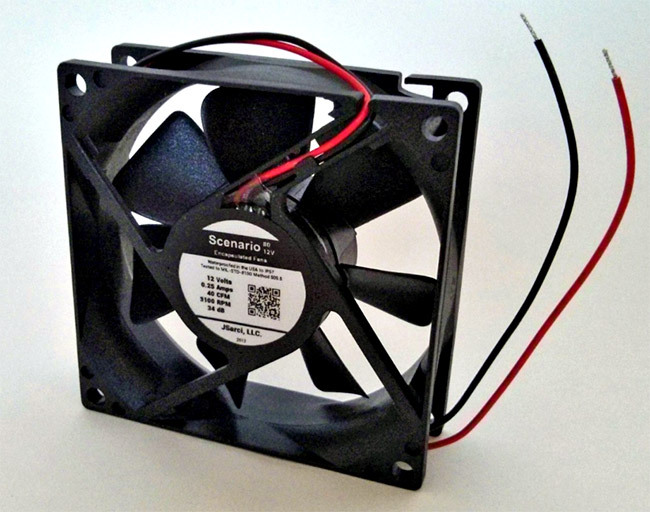 This 80mm x 25mm 12V fan, part number AD0812UB-A73GP, has 2 ball bearings for long life, a 3 pin/ 2 wire motherboard connector and 4 self tapping screws. The existing fan is hidden deep in underneath in the back of the PSU. 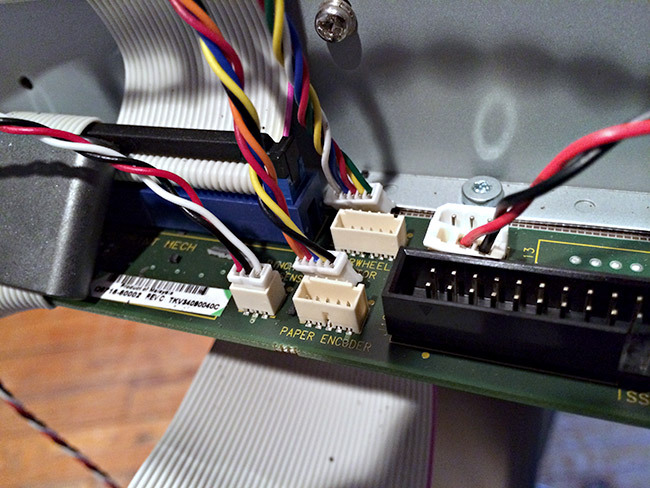 It gets really dirty and is impossible to get at without taking the PSU off the printer. Be careful about taking a compressor hose to it to blow it out (DON’T) - you’ll blow all that crud all over the electronics inside that are unprotected. Once I got the PSU off the printer, and went after the screws, carefully labeling them (photos help) since there are different types of screws, I set up my soldering iron and tools to be able to work comfortably. (These are my own personal notes from repairs I have made. I have made this web page for my own benefit, so I have a record of what I have done.